Regina (Peaky) Mildred Flemion, 87 of Sterling, Virginia passed away peacefully on January 14, 2019, at her daughter’s home in Sunset Beach, NC from Hodgkin’s Lymphoma. She was born June 16, 1931 to John Henry and Ethel Pauline Lewis in Washington, DC. Peaky was fortunate to have been able to travel and serve alongside her husband, Duke, at many overseas postings. Both retired from the Central Intelligence Agency. She met many friends along the way and kept in touch with them until she died. 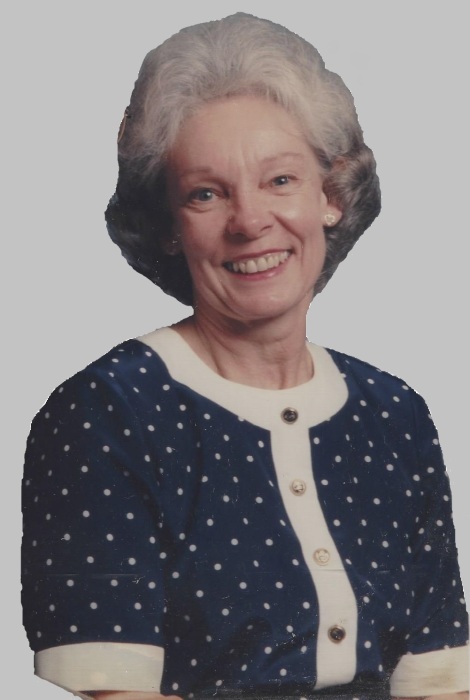 A devout Catholic, she taught Sunday school, was a founding member of a church in Maryland City, and was a member of St. Joseph’s Catholic Church of Herndon, VA, where she met her best friend, Shaw Berke. She enjoyed experimenting with new recipes, knitting, crocheting, doing macramé, gardening, and collecting Barbies. She loved doing 1,000-piece jigsaw puzzles, holding anyone’s baby, and being with family and friends, especially during the holidays. She is survived by her sister Bernadine D’Urso of Pasadena, MD, children Jacqueline DeGroot (Bill) of Sunset Beach, NC, Martin Flemion III (Jane) of Laurel, MD, six grandchildren (Carol, John, Traci, Martin IV, Jeffrey, and Kimberly) and ten great grandchildren (Rebecca, Luke, Brian, Marc, Jason, Ashleigh, Sydney, Martin V, Cohen, and Alanna), and many nieces and nephews. She was preceded in death by her husband of 67 years, Martin (Duke) Arthur Flemion, Jr. and her eldest daughter, Regina Mary Dean. A sweet and kind woman, she taught us love, brought us joy, will be forever in our hearts. Visitation will be on January 24, 2019 at Bethany Community Church located at 15720 Riding Stable Road, Laurel, MD 20707 from 9:30AM - 11:00AM. Memorial Services will immediately follow at 11:00AM. Interment will take place on the 24th at 1:00PM at Fort Lincoln Cemetery located at 3401 Bladensburg Road, Brentwood, MD 20722. Memorial donations may be made to the Alzheimer's Foundation of America or the American Cancer Society.